OWA Member wins America’s Farm Mom! Oregon Women for Agriculture member Shelly Boshart Davis has been chosen by voters as America’s Farm Mom! Farming’s “Mom of the Year” runs a grass seed, wheat, hazelnut and radish operation in Oregon with her husband and three daughters. 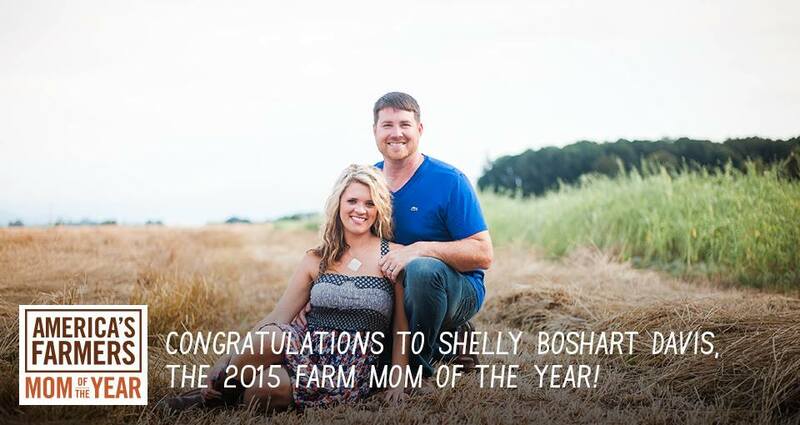 Oregon’s Shelly Boshart Davis prevailed in 11 days of on-line voting and is 2015 National Farm Mom of the Year. The contest, sponsored by Monsanto Co. in conjunction with American Agri-Women, honors women for their involvement with their families, farms, communities and the agricultural industry, according to a Monsanto news release. Davis won $10,000 for getting the most votes in the contest. She grows grass seed, wheat, radishes and hazelnuts on her family’s farm near Albany, Ore., and is a vice president in her family’s straw pressing, trucking and exporting companies. She and her husband, Geoff, have three daughters. The other regional finalists were Megan Seibel of Virginia, Shelley Heinrich of Texas, Amy Kelsay of Indiana and Sara Ross of Iowa. Each of them was awarded $5,000. Next: Next post: Benton County Fair!